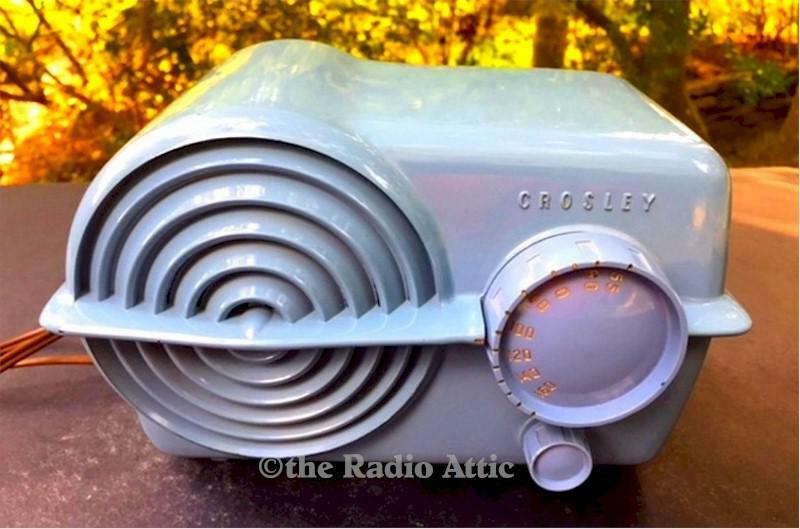 Crosley Left-Hand Bullseye in beautiful pastel blue. Original paint. Undamaged case, no cracks, chips, hairlines or repairs. Beautiful case with just a few minuscule paint chips. The radio is playing very well, picking up all my local AM stations clearly. Original back, cord and label in place. A very nice Crosley, left handed brother of the center bullseye. Small at about 9"W x 5-1/2"H x 6"D.
You are visitor number 1,210 to this page.